Are you the best dentist in town? Of course! But, do people actually know it? They may not, if you are not visible enough to reach your potential patients, they are going to your competitors instead. Let’s work on that together. In Q2 of 2018, 60% of dental related searches came from mobile devices. This means that it is crucial for you to not only market your dental practice online, but that you have an advanced mobile strategy in place. Let’s face it, mobile has become a way of life. About 94% of consumers look for local information on their smartphone and 90% of these users take action as a result. It’s time to stop putting it off and instead start thinking about your mobile strategy. With that in mind, let’s discuss some of the basic best practices that could have a huge impact on how visible you are to the right people, at the right time. As a dental practice, calls are the most important source of new customer Leads. For this reason, of course, you want to increase your call volume. 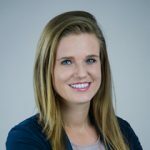 To help you generate more phone calls, industry experts suggest that you implement a click-to-call bid adjustment, which allows you to control how often the call option appears with your search ads. You can modify your bid anywhere from -90% to +900% at the campaign level. 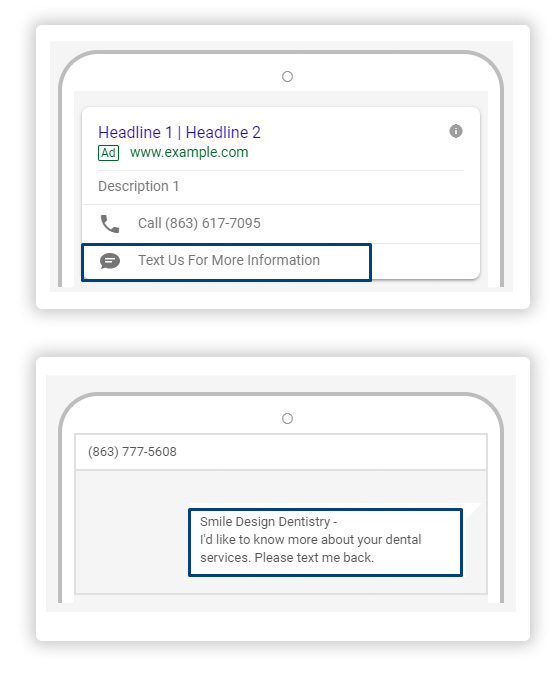 A higher adjustment means your phone information is more likely to be shown as a click-to-call extension within your ad copy. Are you now wondering how to set this up? Easily navigate to the tab “Advanced bid adj” in the left side column and click on “Bid adj”. We all know the importance of ad extensions and how they can boost your click-through-rate and SERP without any additional costs. 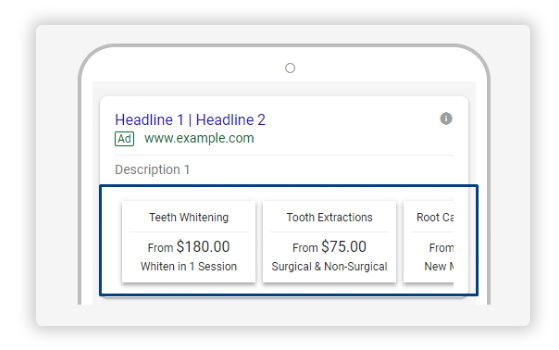 But which are the ad extensions that you should implement to take the mobile strategy for your dental practice to the next level? One of the main factors in deciding which dental practice your potential Leads will visit is the location. These people are only willing to travel a certain amount of miles to fulfill their dental needs. This is precisely why we have the location extension! Not only does the location extensions increase your SERP, but they allow the end user to get directions at a click of a button. How convenient! Many people, especially Millennials, just don’t want to talk on the phone. Your potential Lead could be at work, they could be in class, or they could just not have a moment to spare from their daily routine. By enabling them to reach you another way that they feel more comfortable with, you may just get a leg up on the competition. Plus, wouldn’t it be much easier for you too if your potential Leads to be able to contact you directly by text message? These message extensions have been around for a while, yet are often underutilized. With one tap on your ad, people can contact you to book an appointment, ask for information or get a quote. Message extensions can help you grow your dental practice by giving people an option to reach you that fits best into their schedule and lifestyle. Price extensions give you the option to provide potential Leads with all service pricing information immediately on their mobile phone. 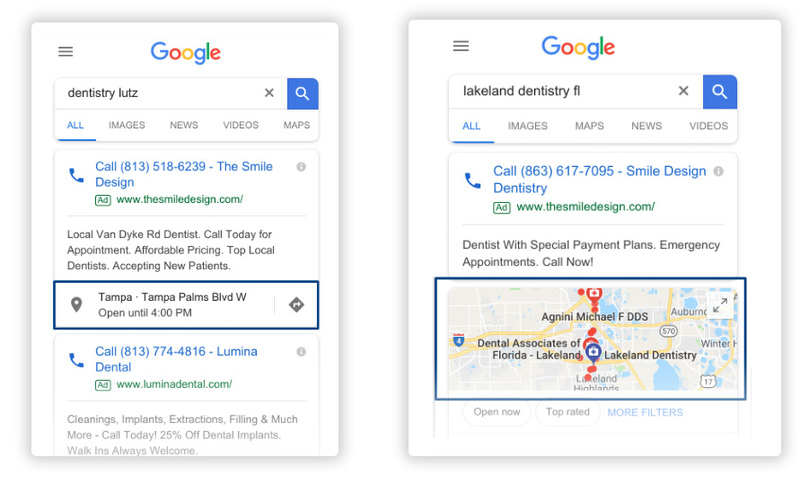 You can use them most effectively by putting them to work in conjunction with location and message extensions, in order to generate potential Leads from highly qualified to ready-to book-patients. 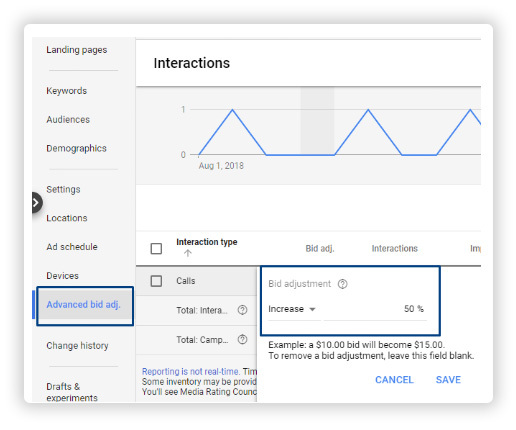 Even though Google Ads has removed the checkmark for mobile-preferred ads, there is still an option to tailor your ad copy specifically to mobile without the need to create a separate campaign or Call Only ads. Are you curious on how to do it? The answer is IF functions! User search and behavior are completely different when comparing desktop to mobile. Voice search has become more and more popular and users often search with different keywords and phrases when typing on their mobile device. Keywords that are more likely to be used on mobile are those for emergency services. After all, if someone knocks a tooth out, they probably aren’t going to sit down and turn their desktop on in order to figure out what to do. 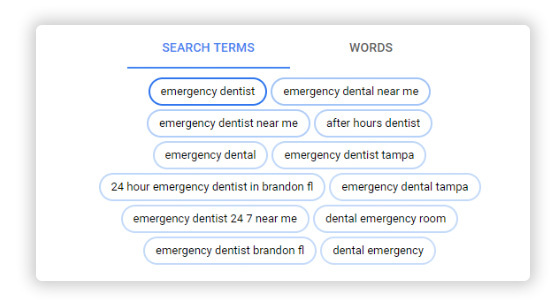 Using this knowledge to your advance, you must have your mobile keywords tailored to emergency-related queries such as “emergency dentist”, “dental emergency”, “after hour dentist”, “emergency dental repair”, “emergency tooth repair” and others that are similar. You may also consider bidding on symptom-related keywords where immediate action is needed, such as “tooth infection”, “broken brackets”, or “chipped tooth.” Chances are good that users will be looking on their mobile phones for such an immediate need. Where using emergency-intended keywords on mobile could be a great idea to revamp your mobile strategy, there are also keywords that you would instead want to exclude on mobile. Think of research-intended search queries for those customers that are looking to read more information before making a decision. You still want these users to be able to read more in-depth pieces on your website, but not at the expense of your mobile clicks. You can think of searches for cosmetic dentistry or that include education keywords such as “information”, “before and after”, “pictures”, “where to get” and the like. These potential Leads will most likely take you more time to close, yet could still be relevant to reach on desktop. When talking about revamping your mobile strategy, call-only campaigns are impossible to leave out of the equation. Not only do they simplify the process for the user by taking out the step of having to go to the website, but they also tend to have a higher conversion rate than your regular search campaigns. Remember, what works extremely well on mobile devices is using emergency related keywords and a mobile-optimized ad copy. 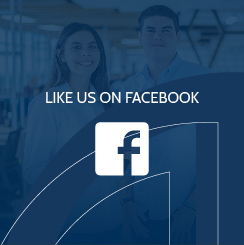 We want to make sure that you are not only advertising your dental practice online but that you are doing it the most efficient and cost-effective way possible. You already know that you are the best, so let’s show your community that you are! By implementing these five best practices, you will have a much better shot at reaching this 60 % of users that are looking for your dental services from their mobile phones and will close their sales loop very soon.